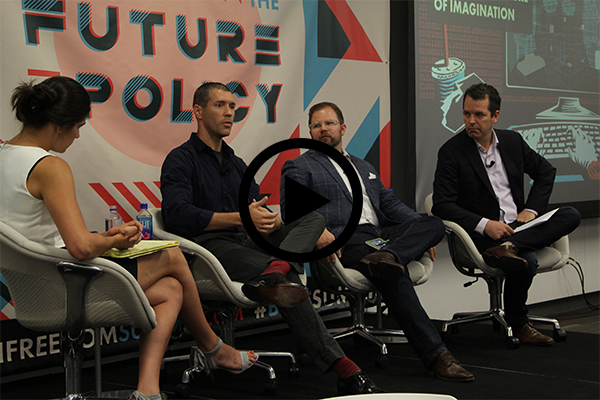 Recently, TechFreedom hosted our first ever policy summit, “Back to the Future of Policy,” to answer the question: How should the laws of yesterday adapt to the technology of tomorrow? 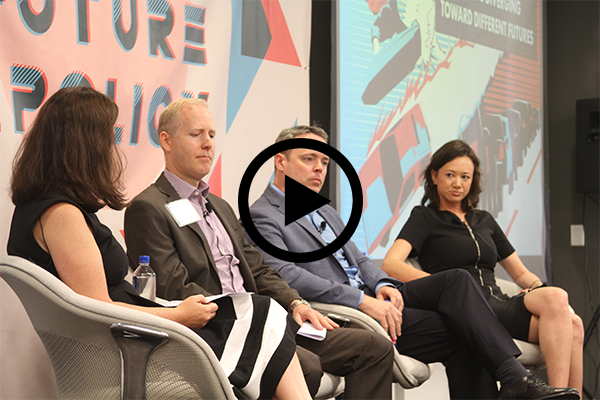 Over a day of expert panels and armchair discussions, we explored how government can take a more forward-thinking approach to emerging technologies like drones, artificial intelligence, and the digitization of everyday life. We discussed how to make sure that government is a friend of the future, keeping up with technology to address real threats and harms without stifling innovation. Change can be disruptive, and it’s easy for policymakers to get caught in the present, especially when constituents demand solutions to today’s problems. But it’s also hugely important to understand how we got here. Of course we should look at what policies are wrong and need to be changed, but what have we gotten right? And what is Congress doing now to help foster innovation? Austin Carson, our Executive Director, led two armchair discussions with lawmakers. The first featured former Chairman of the SEC, Hon. Chris Cox (R-CA), who, as a congressman, co-authored Section 230 of the 1996 Communications Decency Act which allowed the user-generated Internet to be born. 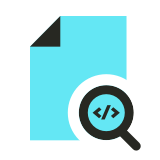 His and now-Senator Wyden’s foresight unleashed trillions in wealth and opened the door to a vast landscape of content online created by everyday people. 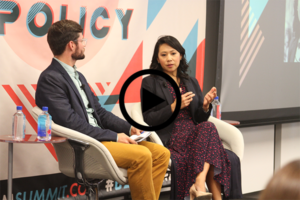 The second discussion featured Rep. Stephanie Murphy (D-FL) on what is being done now to ensure that new technologies are fostered, not stifled, by government. What is Orlando doing to become the first “smart city” in the U.S? 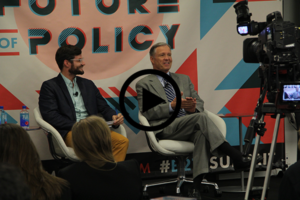 At #B2TFsummit @AustinCarson asked former Rep Chris Cox if #Section230 is at risk. A: Focus on prosecuting crimes. Not making ISPs Net cops. Our first panel covered artificial intelligence, drones, autonomous vehicles, augmented and virtual reality, and bioengineering. As William Gibson put it, “The future is already here — it’s just not very evenly distributed.” The well-trodden path is to fear the downsides of change and paint a dystopian future — not to imagine the benefits of what’s around the corner. As a society, we have a choice. We can embrace the unpredictable and prosperous future, or we can try to “manage” the future with top-down directives. Which path will unleash a better human experience? After 9/11, the Commission’s report said the greatest failure was a “failure of imagination” and that our leaders didn’t understand the nature of the terrorist threat to the U.S. Our security apparatus has changed a lot since then, but what are the tradeoffs? As our lives increasingly go digital, and our homes become smarter and more connected, the data security considerations of decades past look like child’s play. On our Digital Security panel, cybersecurity practitioners discussed how to reap the benefits of the “Internet of Things” while minimizing risk, and how to ensure law enforcement has the tools it needs to keep the country safe while respecting civil liberties and protecting citizens from cyberattacks. 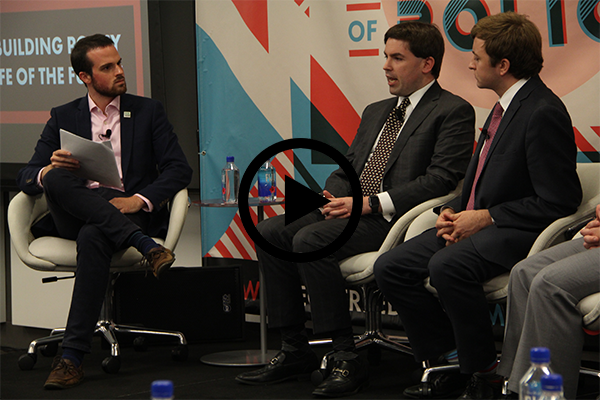 Congressional staff are increasingly thinking about how technological change will shape the lives of the Americans they and their bosses serve. To that end, more than 200 House and Senate staff joined together to form the Congressional Tech Staff Association to share knowledge and guide their work into the future. Several CTSA members joined us to discuss what the brightest in Congress are doing to ensure that those they represent will be able to thrive five or ten years from now. They discussed ways that Congress can support entrepreneurialism, innovation, and quality of life for everyday Americans, including addressing the IT and security concerns faced by the federal government itself. To cap off the day, we took a step back to look at the big picture and how government can see the future as an opportunity, rather than a problem to be solved. As technology transforms our lives, our laws must adapt, too. 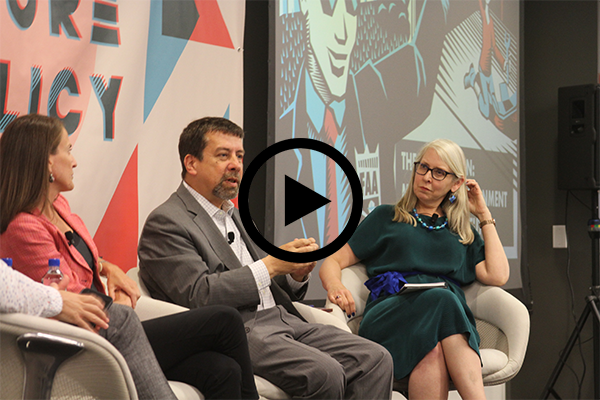 The panel discussed how to write laws that keep up with ever-changing paradigms, protecting us from real threats without losing out on the benefits of change. We held our inaugural summit to move past the squabbles of yesteryear and take our policy discussions back to the future. While the biggest challenges from new technology may rival those of the first industrial revolution, we are still debating how to regulate technologies that are decades past their prime.